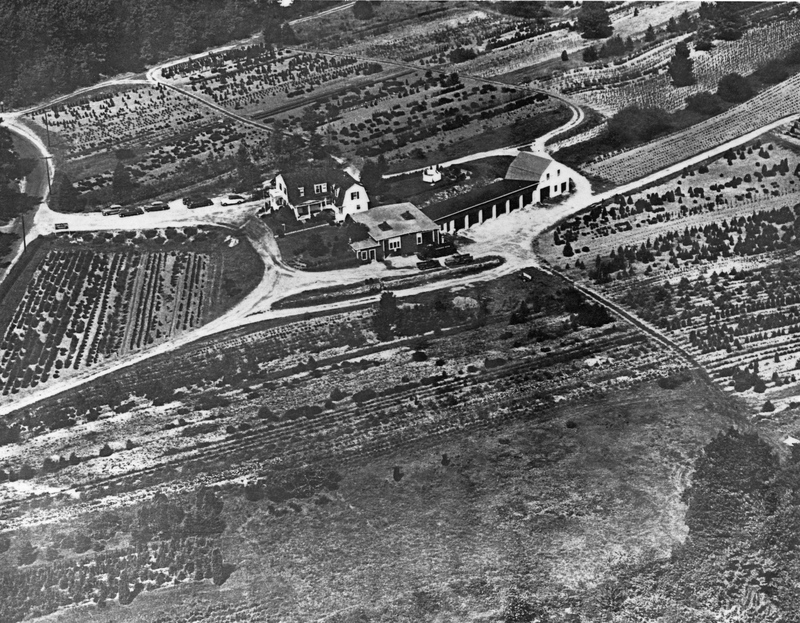 SKF NOTE: These are photos of Charles R. Fish Nursery in Auburn, MA. It was 100 square acres of tree nursery belonging to my paternal grandparents. 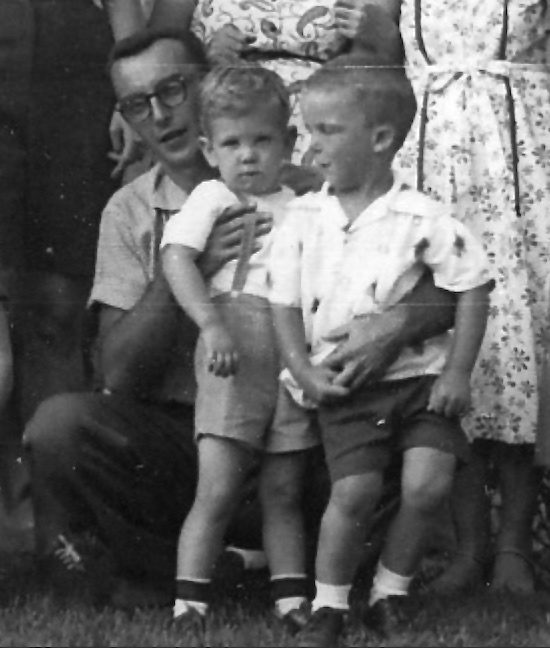 It is also where my father, Chet Fish, and his two brothers, my Uncle Ivan and Uncle Bob, grew up. My Uncle Bob introduced me to drums and drumming. In the first photo below, I’ve used a yellow arrow and the letter “A” to point out a window in the upper part of the “L” on the house. That was a drafting room for landscaping plans. It was also where Uncle Bob kept his record player on which, when I was age 6, I first heard Gene Krupa‘s China Boy and was hooked on drums. There was also a tall wooden tube radio up there. It was about the size of a jukebox and it had great sound. My brother, Craig, and I loved to hang out in that room. We laughed every time a disc jockey would play The Coaster‘s Charlie Brown, not realizing that at age 8 I was hearing for the first time, Gary Chester. 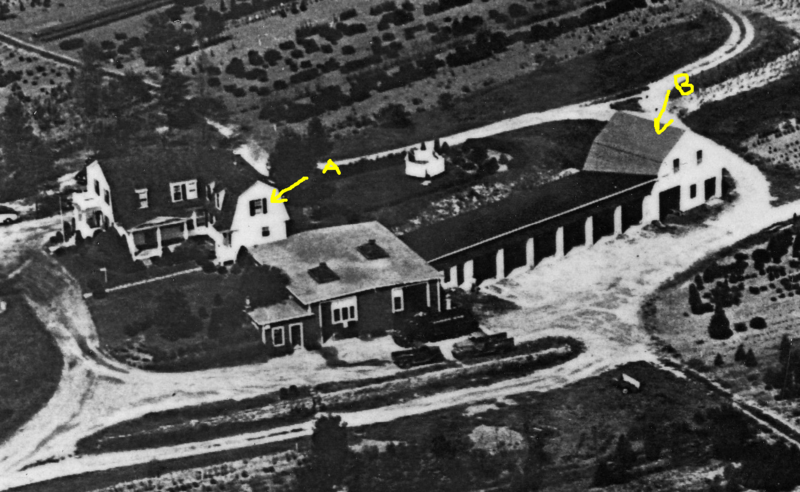 In the far right of the photo I’ve market the light colored barn-like building with a yellow arrow and the letter “B.” That building was The Shed. Upstairs it held nursery supplies. And it is where I came upon, quite by accident, my Uncle Bob’s assembled drum set. I sat down, picked up a pair of drumsticks, tapped the snare drum, small tom, ride cymbal. With my right toes I tapped the bass drum pedal, striking the bass drum head. And the rest is history. This entry was posted in Revisiting My Life in Music and tagged Charles R. Fish Nursery, Drummer, Scott K Fish, Uncle Bob Fish. Bookmark the permalink. Nice spread Scott. Is it still in the family?